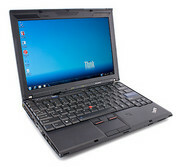 Lenovo's ThinkPad X series is undoubtedly one of the most successful and well made corporate ultraportables on the market. The ThinkPad X201 Tablet brings that same level of durable design and function with the advantages of Windows 7 native touchscreen support. Anyone looking for a convertible laptop should really consider this laptop. 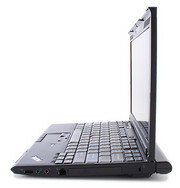 The X201 is a very strong offering and it’s in keeping with what we’ve seen from the ThinkPads over the last few years. The Core i-series processors marked a big step forward for the ultraportables, especially considering that the availability of the full-powered Core i5. The choice between the ThinkPad and the EliteBooks is getting tough though. 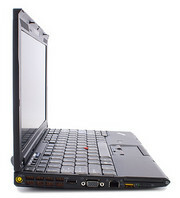 Personally I don’t care about the optical drive, but I do really wish the ThinkPad had a digital video out option. 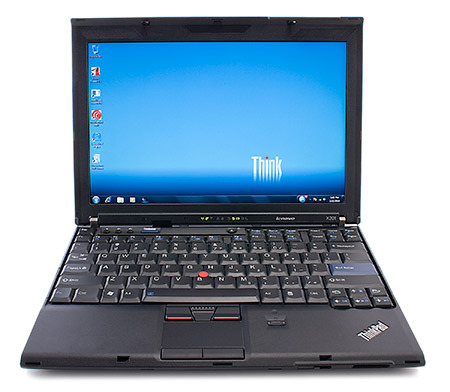 Few brands have as firmly established a brand identity as the Lenovo ThinkPad (and the IBM ThinkPad before that). The iconic look and feel of these systems have changed in only subtle ways over the years, maintaining a road-tested list of features, from the solid, chunky keyboards to the jutting top lip of the display lid to the familiar red trackpoint and secondary mouse buttons. Anyone looking for the power of a midsize laptop in a compact 12-inch body has only a few choices, and none to date top Lenovo's excellent ThinkPad X201. The compact, business-oriented Lenovo ThinkPad X200 just got a serious hardware upgrade. 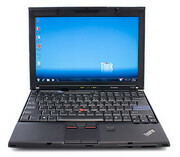 Lenovo did away with Intel’s Centrino platform and built the X201 around Intel’s heavy-duty Core i5 processor. It might look a little plain-Jane, but beauty lies within. This highly customizable ultraportable PC smokes the competition and significantly improves upon its predecessor’s performance. To rule the ultraportable scene, a laptop has to strike the perfect balance between performance and battery life, while staying at or less than 4 pounds. Oh yeah, and price was no object. 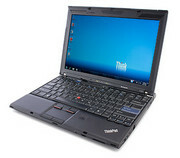 Lenovo had such an ultraportable with its ThinkPad X200 ($1,199 direct, )—the perfect carry-on for executives on the go. With netbooks and CULVs running the show, the Lenovo ThinkPad X201 wields the kind of power that you don't see in ultraportables anymore, yet battery life is still impressive. The Lenovo ThinkPad X201 offers quite a few solid features compared to the older X200. Users who prefer a touchpad interface can now get it on the X201 and X201 Tablet, and even though it is netbook-sized it is still very usable. The newest Intel platform offers a huge boost in overall performance from the previous generation and in some cases doubled the 3D performance. Lenovo's super-fast multitouch convertible crams Core i7 power into an ultraportable design. With its faster processor and new touchpad, in many ways the ThinkPad X201 is still the business tablet to beat. 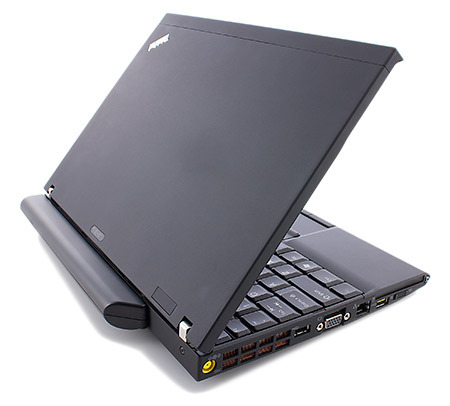 However, its faster performance comes with a significant drop in battery life (from 7 hours to 5 hours in the case of our configuration), so if having all-day endurance is important to you and the original X200 tablet is still available when you're shopping, you may want to consider the older model.